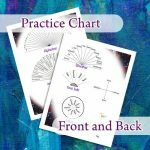 Unlock the power of your pendulum with these attractive pendulum reference sheets! 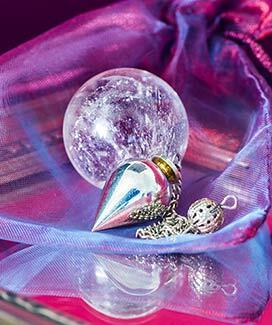 Most people are not aware that pendulums can be used for anything other than just yes or no answers. 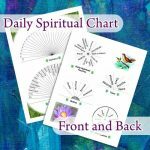 By using charts, however, the pendulum dowser can get directed answers directly from their guides and angels. These themed references allow you to have your most used charts at the tips of your fingers. Laminated, these 8.5″ by 11″ references are both durable and easy to store ready for years of use! 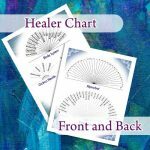 These charts exclusively made by Thunder Wolf and are not available anywhere else. Have you ever wanted the universe to literally spell it out for you? Now they can! 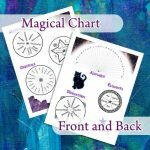 Unleash the power of your pendulum with the alphabet chart that is included on each reference. With letters available your guides can communicate and answer your questions through your pendulum by spelling out the answers. While each chart is themed, the alphabet chart allows for infinite flexibility. Shipping is free, so what are you waiting for? Your guides are waiting to talk to you.